Rocks red jacket plus yellow All Star . Yellow one of spring's hottest shades. 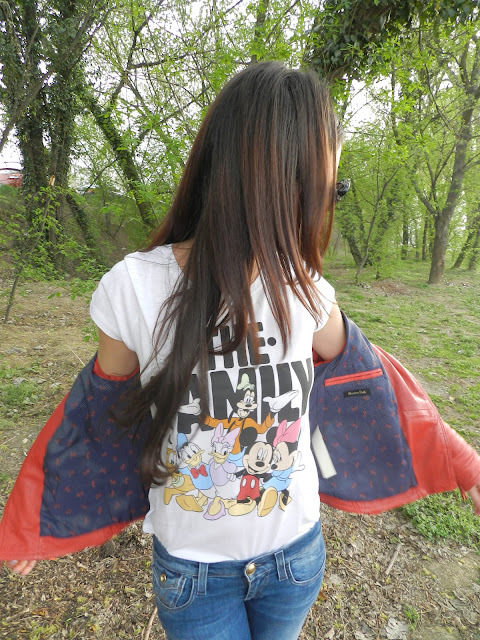 Denim Miss Sixty and simple T-shirt with Disney cartoon characters.